Hi there! I hope you guys are having a great April so far! It has been a very cloudy and rainy week here in west Texas. But, while I wait for warmer and drier weather, I’m crafting it up in my craft room! I just recently bought the Zoo Crew stamp set from Paper Smooches and I couldn’t wait to use it because I love how PS designs their critters. I knew I wanted to make a partial die cut with this set once I got it, so of course I needed to get the matching die set. 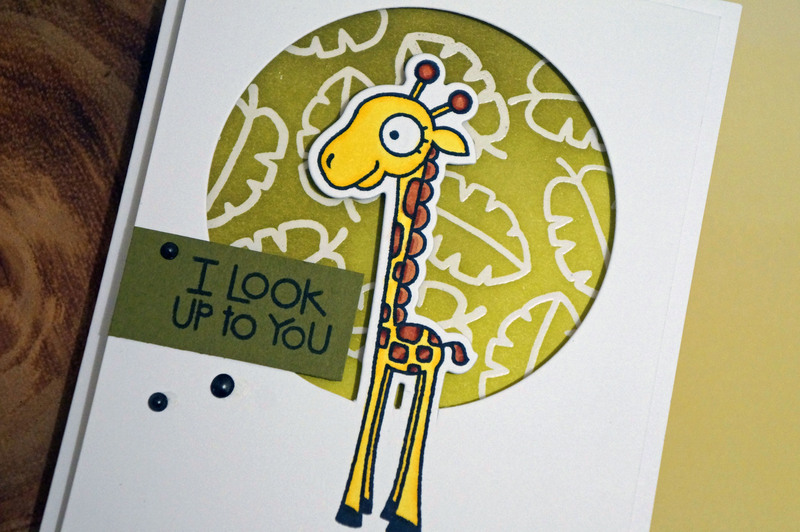 I did the partial die cutting with one of circles from Lawn Fawn’s Circle Stackables die set and the giraffe die. 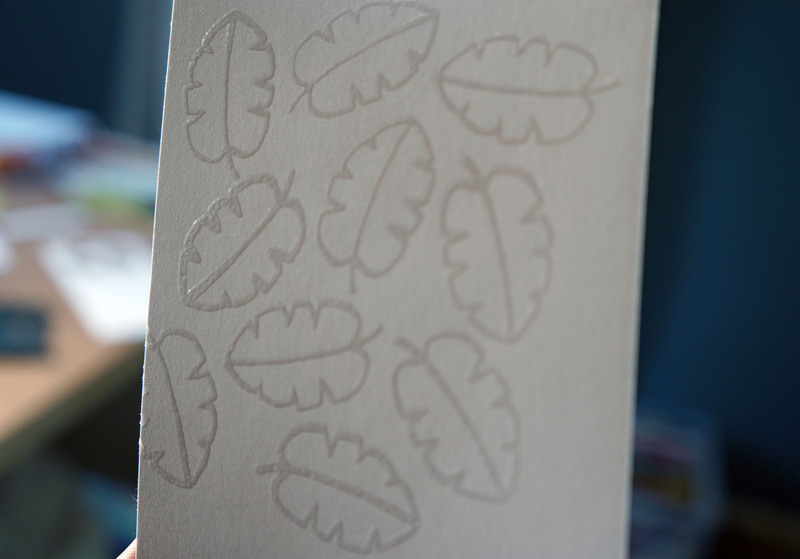 For the background, I heat embossed Simon Says Stamp clear embossing powder on white paper. You can see on the picture below how well the embossing powder melts. 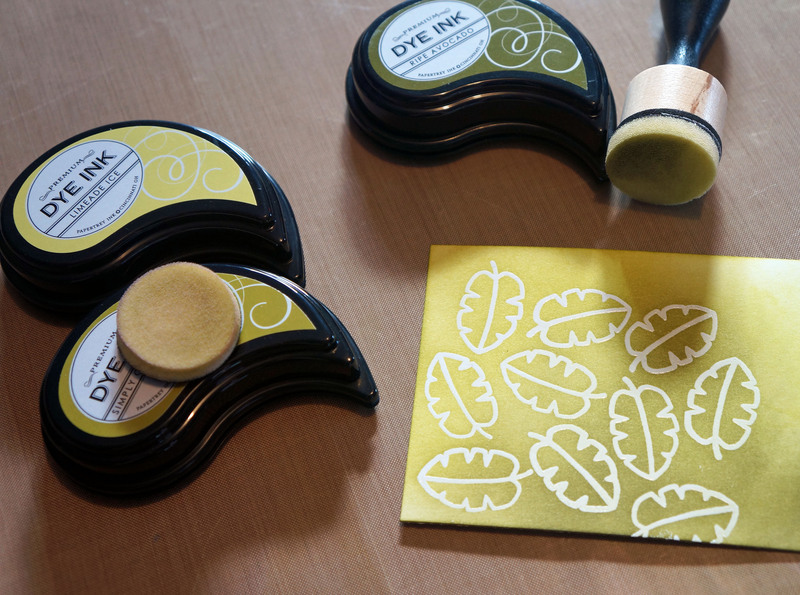 I really like this embossing powder, it melts so fast, and I never have a problem with my paper warping. I used Simply Chartreuse, Ripe Avocado, and Limeade Ice from Papertrey Ink with my Ranger blending tool to finish off the background. The giraffe was colored with Copics (I’m still trying to master those). I used foam adhesive to adhere the top layer over the patterned paper and I stamped the sentiment on Ripe Avocado paper. Because I don’t have any enamal dots, I made my own using Liquid Pearls from Ranger. 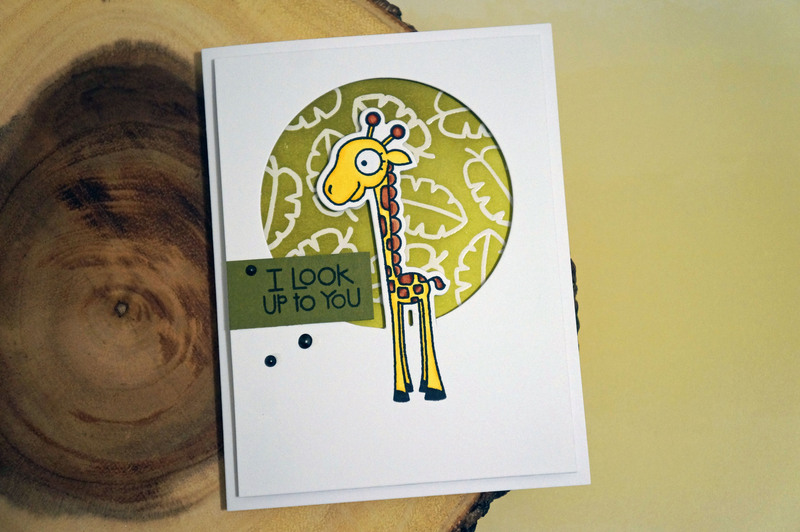 I hope to make more cards soon with the rest of the Zoo Crew critters. I can’t seem to get away from the Paper Smooches website, I’m obsessed and I just want MORE!!! Anyway, I hope you guys like my card, and please bare with me as I explore all the infinite options of photographing my cards! I’m just having a lot of fun with my camera… and random objects and backgrounds, you get the idea. Love this set! Your green background is gorgeous. WOW! That’s a beauty of a card right there!